Mine No. 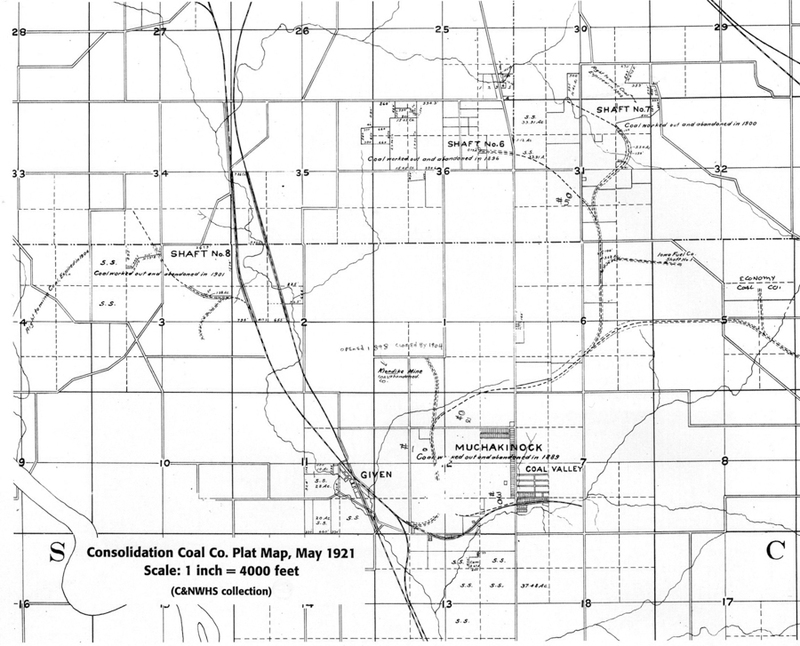 18 of the Consolidation Coal Company between Consol and Bucknell, IA. 90% of 4,800 population was black? 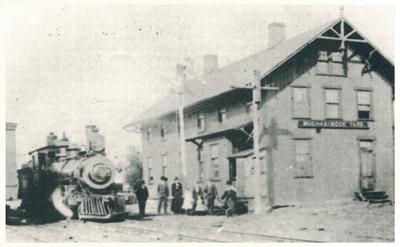 Train Depot in Consol, IA. 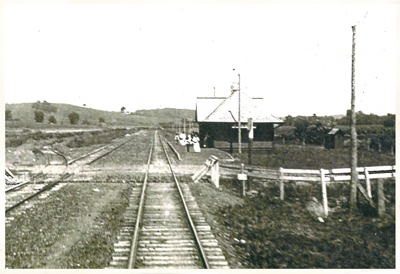 View looking north east towards Buxton. 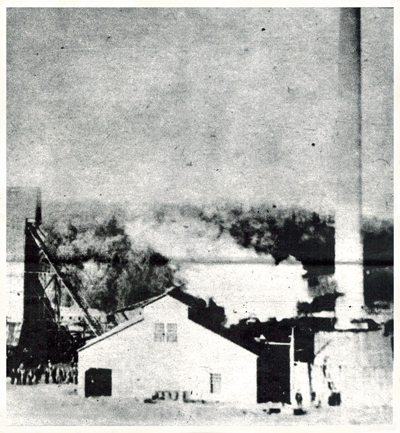 Consolidation Coal Company's Mine No. 19 at Bucknell. 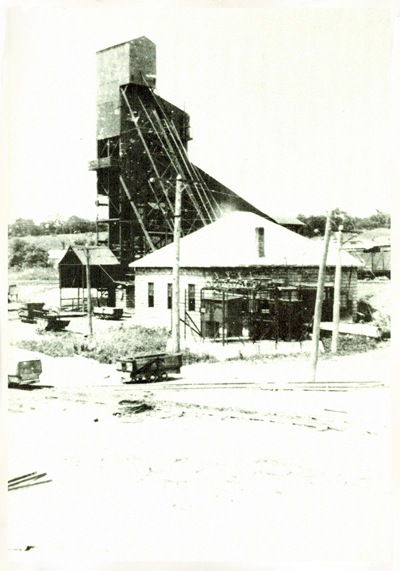 This was the last mine opened and operated by Consolidation. 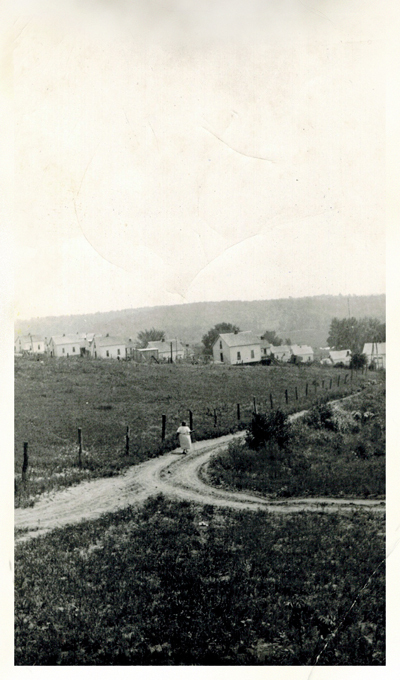 Looking south down Melrose Road from midway, towards Bucknell / Haydock, IA. 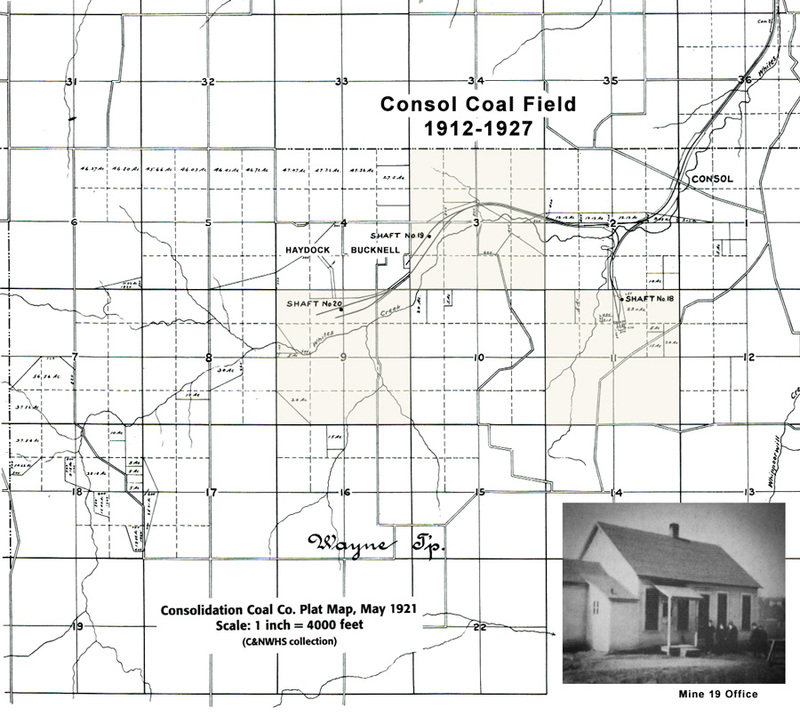 Consol Coal Fields Consolidation Coal Co. 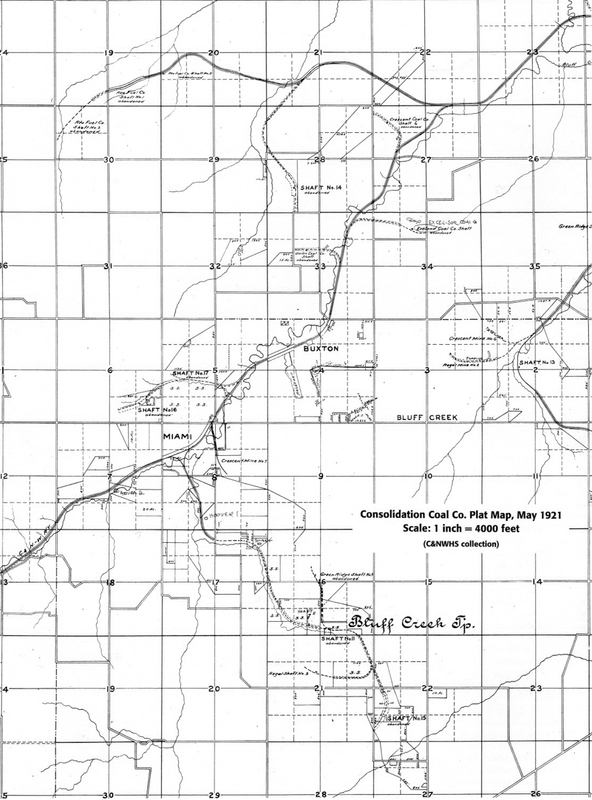 Mine Shaft #18 - South West of Consol 1 mile, section 11 on map. 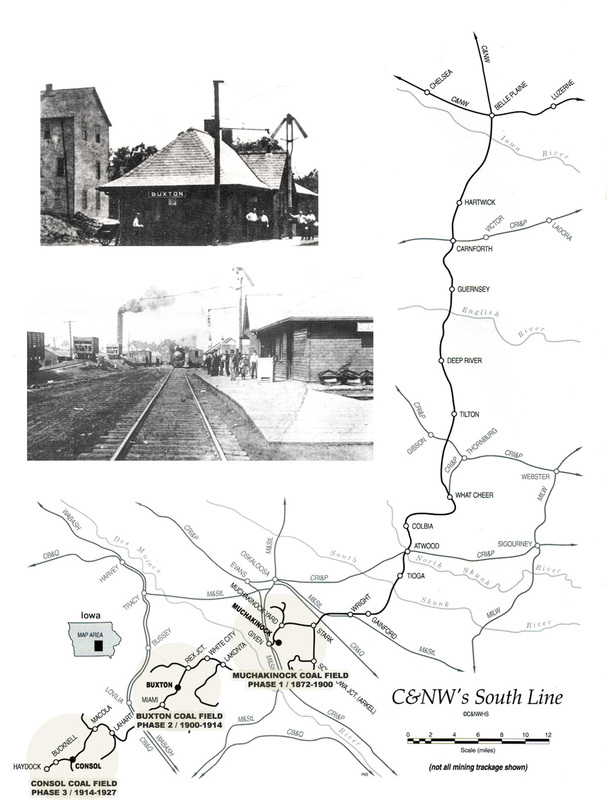 Mine Shaft #19 located in Bucknell section 3 on map. Mine Shaft #20 located in Haydock section 9 on map.